I love my local library, and I’m a regular visitor, but I rely heavily on the reservation service, because the truth is that the library is tiny. I don’t spend an awful lot of time browsing the shelves there, because the selection isn’t great. So when I end up in a bigger library, I scour the shelves for something new and different. That’s how I came across this book, the cover jumped out at me and I picked it up to see what it was all about. I’ve always been interested in psychology, I’ve mentioned already that given half the chance, I’d like to go back to university and study for a degree in the subject (that’s part of the Euromillions plan). So this was a really interesting read, because it took various different psychological terms, techniques and names, and explained them in brief. I was particularly interested in the Milgram Experiment, in which the willingness of participants to obey authority figures was tested, and Synaesthesia, the condition in which people experience two senses as the same thing. The idea of hearing a colour is just amazing, and I definitely want to read some more about it! The subtitle of the book is All the Psychology You Need to Know, and there’s certainly a lot of information in there, but for me it’s more of a starting point; I want to learn more about these techniques and theories, so I now have a list of things to find out about! Six down, four to go on number two of 32 Before 32 – read ten non-fiction books. I really need to read more non-fiction! This sounds really interesting! 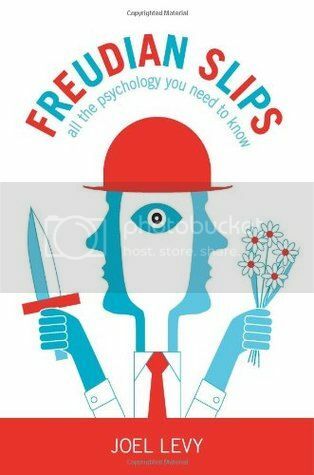 As a lit student, we do a fair bit on Freudian psychology, but it is a subject that I’d love to know more about! If I wasn’t a lit student, I’d probably be studying psychology! Oh and my friend’s sister can taste colours! It seems really bizarre! Definitely something I’d want to know more about!